Local British football supporters clubs needed to Rock the Pitch for charity! Ross from Opera Bob’s Public House got in touch with us to help spread the word about Rock the Pitch, a charity football tournament taking place on August 30, 2015 at Crescent School. Opera Bob’s is also the Toronto HQ of the Manchester City Supporters Club who are taking over the organization of this year’s tournament — now in its seventh year. They are looking for as many local British football supporters clubs as possible to take part this year, to raise funds and awareness for such a great initiative and have a fun day out on the pitch. 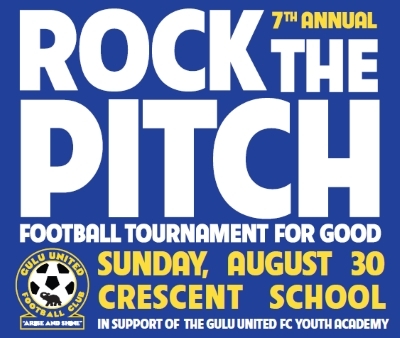 More details on the official Rock the Pitch website, flyer and Sportsnet article. So, pass it around (just like you do on the pitch) to anyone who thinks they have what it takes! This entry was posted in Uncategorized and tagged brits in toronto, football, rock the pitch on July 2, 2015 by britsintoronto.